New faces, unfamiliar culture, different applications of the Bible—visiting a new church can be an overwhelming experience! 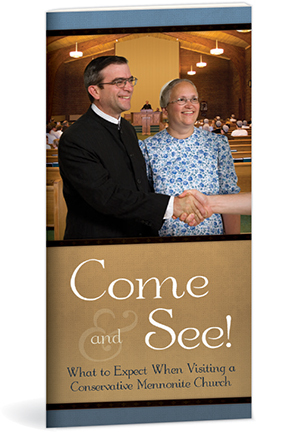 In this pamphlet, David Peters shares what stood out to him on his first visit to a conservative Mennonite church. He also gives perspective and explanation for practices such as a-cappella singing, the holy kiss, and kneeling for prayer.